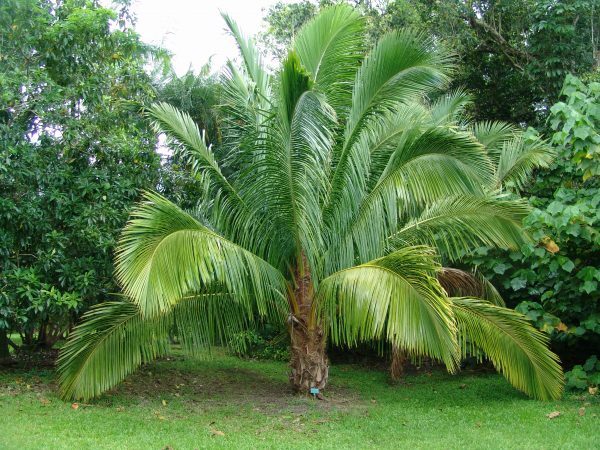 Solitary, feather-leafed palm. Trunk to 12 inches thick and leaves a medium to bright green. Overall height to 45 feet with 15 foot spread. Requirements Grows well in acidic to neutral soils. Growth rate medium. Cold tolerance unknown. Salt tolerance unknown.